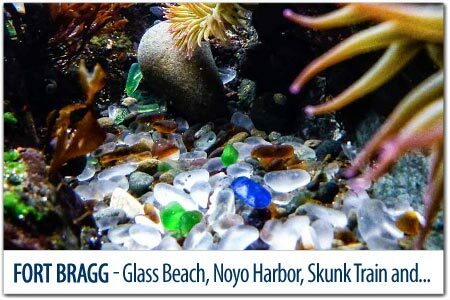 Fort Bragg is the largest of the small towns along the Mendocino Coast. With a population well under 10,000, this rustic seaside town features a working fishing harbor, with charter boats and water-view restaurants. 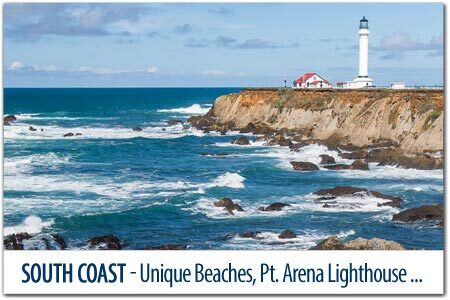 Recreation areas include beautiful State Parks on the beach, redwood forests, and indoor waterpark. You'll find a great selection of interesting shops, everything from grocery stores to stylish boutiques. Fort Bragg is best known for the Skunk Train, it's an old Time Train that takes you on a redwood forest journey without having to hike. Just south of Fort Bragg, on the ocean side of Hwy 1, is a "Must See" for any flower lover, the Mendocino Coast Botanical Gardens are the only oceanfront botanical gardens in America. Little River is best known for Van Damme State Park. There are three distinct parts to this park; the beach has easy access to the sea, for strolling, kayaking and abalone divers. The east portion of the park features a paved trail through picturesque towering redwoods that progresses into a hiking trail that loops through a pygmy forest. The nutrient-poor, highly acidic clay hardpan soil that is found at this level of the Mendocino Coast terrain is relatively inhospitable. As a result, the trees are dwarfed; some mature trees are barely waist-high even though they are hundreds of years old. There are delightful Inns and restaurants in this laid-back coastal town. 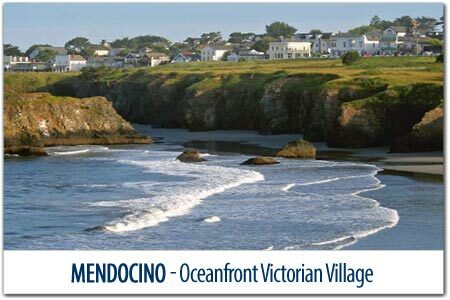 Mendocino actually is famous, not only as the only town on the California Coast that is designated as an Historical Landmark. But Hollywood loves us too! Did you know that Murder She Wrote was filmed in Mendocino. The 1850's architecture is reminiscent of Maine, creating the fictional town of "Cabot Cove". Some of the Victorians and quaint Saltbox cottages, have been lovingly converted into Bed and Breakfasts Inns and Restaurants. 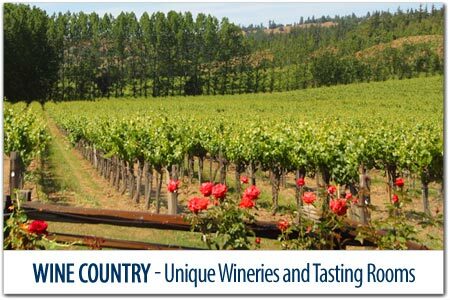 Although, it's the surounding Headlands that make this tiny town, truly exceptional! Creating a photographers paradise, everywhere you look there is another picture postcard waiting to be selfied. Arts and entertainment range from live theater, local artists galleries, museums, and Art Center. Mendocino's South Coast is a picturesque collection of seaside villages that welcome travelers that appreciate a slower pace. 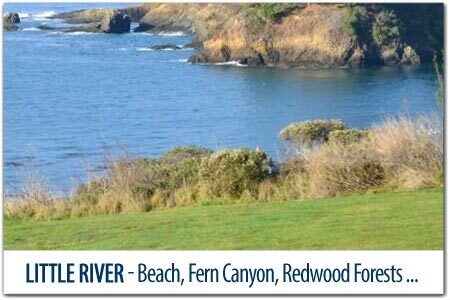 Straddling the county line, you'll find ocean view golfing, and a world-class Lodge at The Sea Ranch, and on to Gualala (locals pronounce it "Wah-Lah-Lah". Appropriately named by the Native Americans, as the "water coming down place", because the Gualala River flows majestically into the sea creating a wide river mouth. Albion and Elk straddle the coastline, where HWY 128 meets the sea. Everywhere you turn, you're sure to see beautiful views and friendly villages.